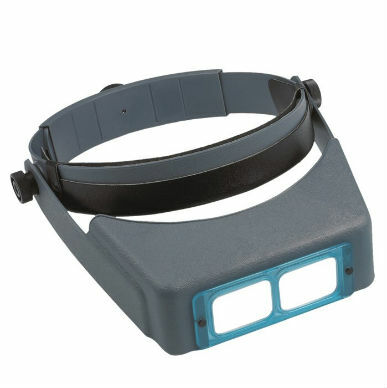 This Triple Lens Folding Magnifier contains three 5x acrylic lenses, approximately 30mm (1.125inches) in diameter. 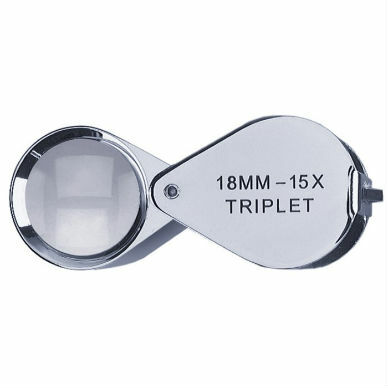 Use lenses singly for 5x magnification, or use lenses together for additional power. 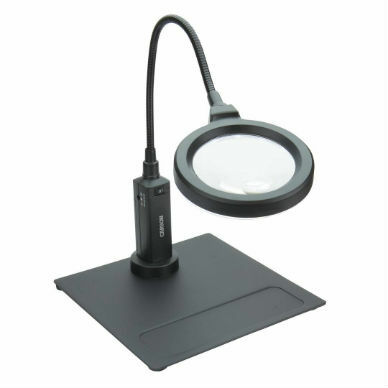 Two lenses yield 10x magnification; look through all three lenses for 15x magnification. 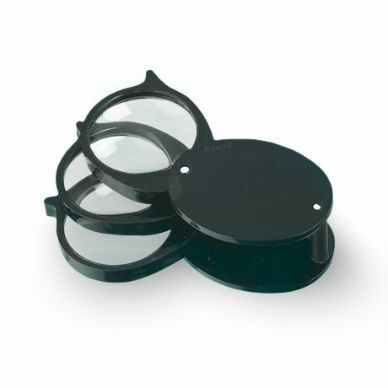 Lenses swing easily into protective housing for storage or carrying in your pocket. 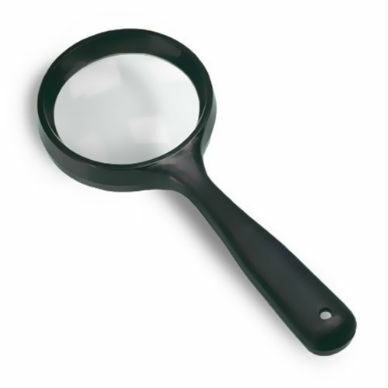 The instrument measures approximately 1¾ inches long when closed.